Situated in East Devonport, this motel is 1.1 mi (1.7 km) from Devonport Ferry Terminal and within 6 mi (10 km) of Home Hill and Devonport Regional Gallery. Bass Strait Maritime Centre and House of Anvers are also within 6 mi (10 km). 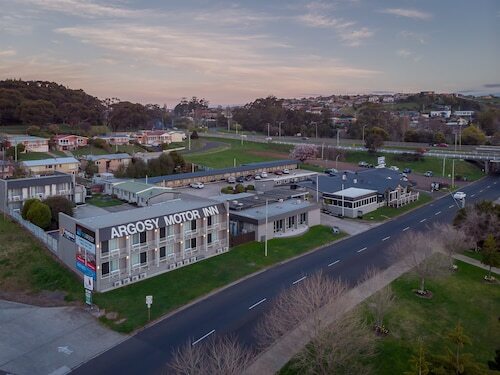 Situated near the airport, this motel is 3.1 mi (4.9 km) from House of Anvers and within 6 mi (10 km) of Devonport Ferry Terminal and Home Hill. Devonport Regional Gallery and Bass Strait Maritime Centre are also within 6 mi (10 km). 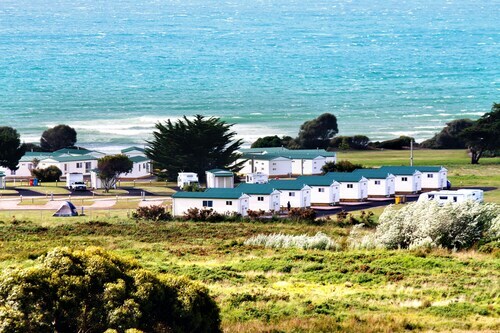 This East Devonport campground is on the beach, 1.2 mi (2 km) from Devonport Ferry Terminal, and within 6 mi (10 km) of Home Hill and Devonport Regional Gallery. Bass Strait Maritime Centre and House of Anvers are also within 6 mi (10 km). Situated on the waterfront, this campground is 1.5 mi (2.3 km) from Devonport Ferry Terminal and within 6 mi (10 km) of Home Hill and Devonport Regional Gallery. Bass Strait Maritime Centre and House of Anvers are also within 6 mi (10 km). 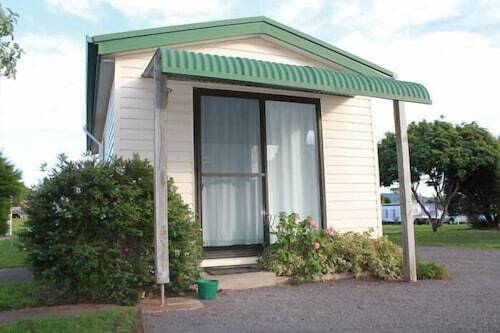 Situated on the waterfront, this campground is 2 mi (3.2 km) from Devonport Ferry Terminal and within 6 mi (10 km) of Home Hill and Devonport Regional Gallery. Bass Strait Maritime Centre and Don River Railway are also within 6 mi (10 km). Want to explore East Devonport? You're in luck. There's a decent range of available hotels in the area. 14 of those are less than 5 kilometres from the city centre. 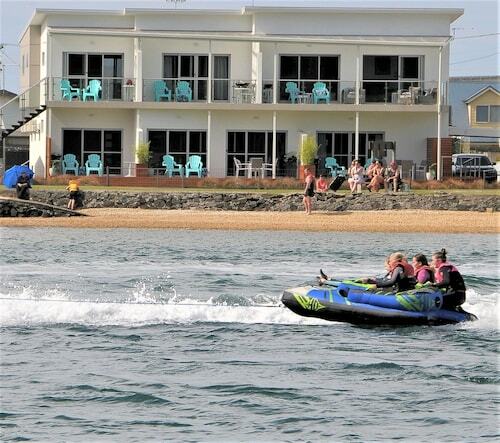 The Quality Hotel Gateway and Sunrise Devonport are a few of several fantastic hotel options that are close to all the action. For more options, checkout the Hawley House and the AAA Granary Accommodation. They are 13 kilometres and 35 kilometres respectively from the center. Wotif also suggests the Tranquilles Bed and Breakfast and the Birchwood on the River. The first is 11 kilometres away from town, while the second is 3 kilometres away. If you'd like to experience some nearby cities, think about Port Sorell and Ulverstone. Journey 12 kilometres to the east of East Devonport and you'll find Port Sorell. Alternatively, Ulverstone is 19 kilometres to the west. 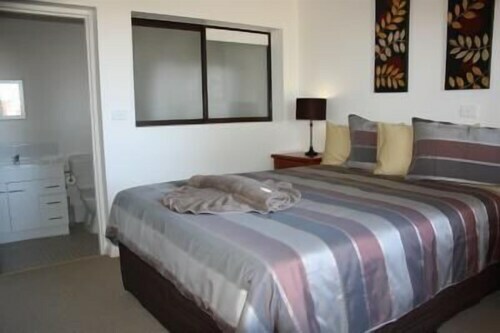 Hotels and apartments in Port Sorell are the Sails on Port Sorell and Shearwater Cottages. The Bass & Flinders Motor Inn and The Lighthouse Hotel are some of the ones in Ulverstone. If watching sport is your passion, head to Aurora Stadium. It's to the southeast of East Devonport. Want to stay close by? The Quest Launceston Serviced Apartments and the Apartments at York Mansions could both be perfect. So ask your neighbours to feed the cat and start packing! Whether it's East Devonport, Timbuktu, or anywhere else on the planet, Wotif is ready to take you there. How Much is a Hotel Room in East Devonport? 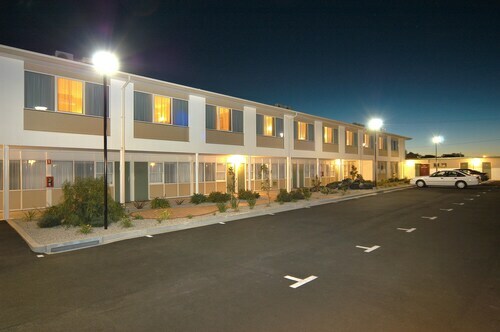 Hotels in East Devonport start at AU$86 per night. Prices and availability subject to change. Additional terms may apply. 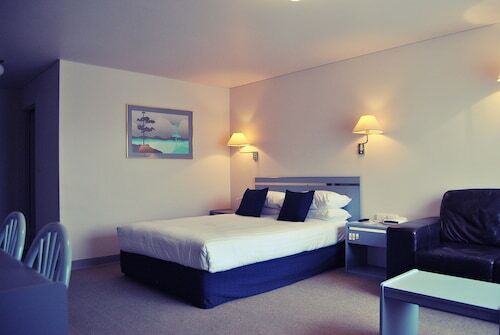 Clean room, friendly staff, great food and central location to explore the surrounding towns. The location is great. On the water with room overlooking was cool. Location also within walking distance of restaurants, cafes and town centre.